The Gol Maal actor made headlines after he criticised the Ministry of Culture’s functioning at a National Gallery of Modern Art (NGMA) event in Mumbai. 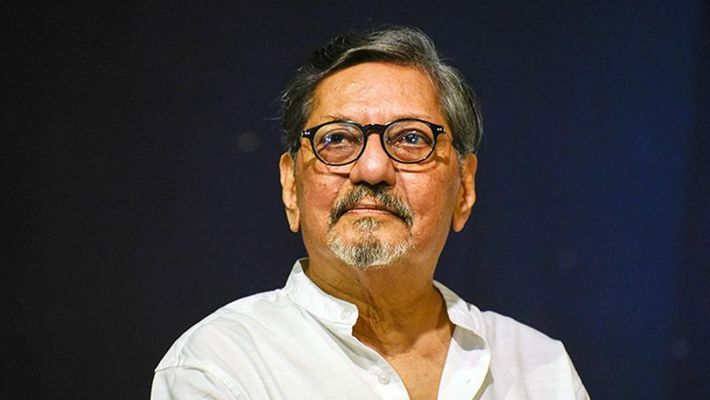 Mumbai: Amol Palekar is a professional painter, a fine actor-director and a thorough gentleman. He started making headlines and trending on social media not much after he was periodically interrupted after he started criticizing the Ministry of Culture’s functioning and talking about the artist’s loss of independence at a National Gallery of Modern Art (NGMA) event in Mumbai. Speaking at the opening of a Prabhakar Barwe retrospective, Palekar spoke about how the NGMA, which had an advisory committee of local artists who took decisions on different exhibitions, was now under the control of the Ministry of Culture. Palekar spoke from a prepared text, speaking slowly and clearly as he usually does. After a certain point, he was repeatedly interrupted by people like artist and ex-chairman of the advisory committee Suhas Bahulkar and the show’s curator Jesal Thacker. He regretted that the local artists’ committee had been dissolved. “Many of you may not know that this retrospective (the exhibition) will be the last show that is decided by the advisory committee of local artists and not by some bureaucrat or an agent of the government with an agenda of either moral policing or proliferation of certain art commensurate with an ideological incline,” he said. Briefly, he was asked to stick to the topic for the event: the retrospective of a painter he admires. Palekar asked whether he was being stopped from exercising his freedom of speech. Many agree that was indeed the case. Toeing a politically correct line is ridiculously easy. Such an approach needn’t be the outcome of conviction in what one says. Social media deals in hyperboles. It is a platform where protagonists of the theatre of the absurd get their 15 seconds of fame from time to time. Not surprisingly, that is where many are interpreting the request to stick to the topic as an assault on the independence of art and artists. Strange! Reality is much simpler. And, smaller. Palekar is entitled to his point of view, and there is no doubt that artists must have a say in decision-making. So, how and where did he go wrong? He conveniently forgot – or chose to ignore – that a retrospective of a late artist is a solemn occasion. It is an event in which art lovers celebrate the works while knowing that their creator is no more. That is an important reason why guest speakers, who have an intimate knowledge of the subject, must adhere to speaking about him/her. There is no second way of speaking. Diluting the focus by talking about other issues, even if they are interconnected in a broader sense, is inappropriate and insults the person in whose memory the retrospective has been organized. Nobody would have stopped him from expressing his views to the media – and in fact, he should have done it just after the advisory committee had been dissolved. Why did he wait and only decide to talk during the retrospective? Every occasion or situation merits an appropriate response. One cannot go to a funeral and act as if one is a guest at a wedding. One cannot go to work in the mornings and think of his cabin as his bedroom – even if one is an insomniac who can only work at night. A retrospective is about memories – both of the person and his/her art. Palekar should have grasped the character of the event before preparing his speech. Palekar’s gentlemanliness doesn’t make him infallible. Ever since the episode took place, he has been avoiding the real point entirely by insisting that stopping him was an act of censorship. What happened during the event is this. He deviated from the subject of the evening and indulged in it. The organizers had to intervene. They might have done the same thing if he had continued to talk about Pablo Picasso’s genius with a prepared text in front of him. Nation outraged, but 'pukka Muslim' boy who tore national flag not a Muslim?